Our approach to the curriculum is one which develops a thirst for knowledge and is broad and balanced. Wherever possible children will learn in a contextual way providing meaning and purpose to what they do. However, there will be times where subjects and/or elements of a subject will be taught discretely rather than trying to squeeze it into a project to ensure necessary impact. Emphasis is placed on quality and the need to work in a variety of approaches. Children are encouraged to work independently and collaboratively. We also aim to ensure three elements exist within the curriculum throughout the year. We want the children to appreciate the awe and wonder of the world, have a real impact on the community, be it close by or other parts of the world, and have a bearing of people's emotions. For examples of the types of projects undertaken at Huntingtower please have a look at our School News pages. Through this approach we develop collaboration, communication, creativity, problem solving, resilience and divergent thinking. Woven throughout the curriculum, and the broader experiences the children have, is the promotion of fundamental British values. There is an emphasis on promoting the spiritual, moral, social and cultural (SMSC) development of the child as well as the broader Huntingtower community. Understanding where and how a child can, not only fit in but, contribute to making the world a better place is essential for us here. Examples of how we promote British values and SMSC can be explored by downloading some of the Academy's assemblies below. Documents showing what is covered throughout the year in each subject are available at the bottom of this page. Due to the changing purpose of each project a letter outlining specifically what is being studied each term will be published at the beginning of each term. These will be made available on this page and through our letters page. We are following the Read Write Inc scheme for teaching reading and writing at in the Reception Classes at Huntingtower Community Primary Academy. Please spend a few moments to look at the Ruth Miskin Read, Write, Inc website so you can support your child's learning in school. 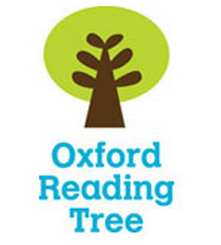 We also use the Oxford Reading Tree scheme in the early stages of reading development. We also use Scholastic Reading Pro system from Y2 onwards. Please see the document below for our approach to assessing the new curriculum.